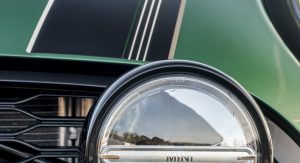 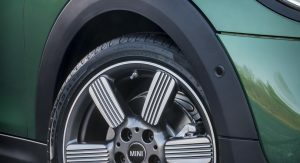 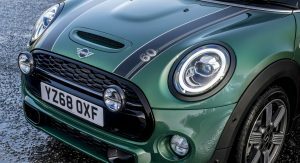 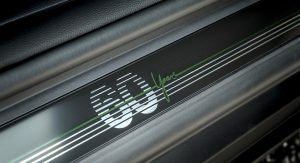 MINI has introduced the Cooper S 60 Years Edition limited run in the United Kingdom in order to celebrate six decades since the original BMC Mini, which stayed into production until 2000 and became the best-selling British car in history, was launched. 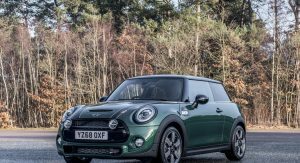 Available in just 500 units locally, it kicks off the anniversary year for the BMW-owned brand and will arrive at dealers across the nation in March with a starting price of £29,990 (equal to $38,532/€33,682). 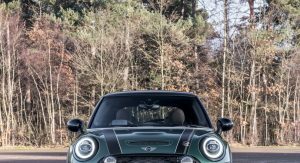 Finished in British Racing Green IV, the exterior is adorned with bonnet stripes, black piano trim and black roof and side mirror casings. 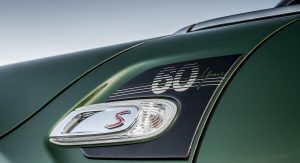 Completing the special look are the exclusive 17-inch alloy wheels, additional set of spot lamps fitted at the front and “60 Years” emblem. 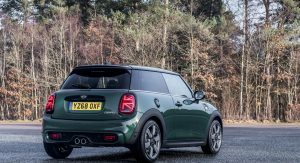 Also Watch: 2019 MINI Cooper S: Is It Any Better Or Just A Rehash Of The Same Recipe? 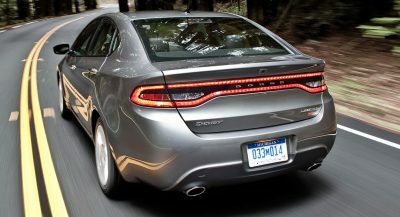 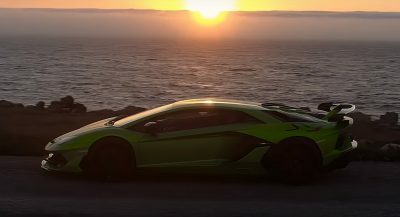 The LED logo projection greets the driver, and further enhancing the distinctive interior are a few special touches. 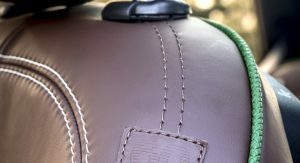 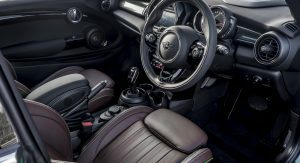 The MINI Yours Leather Lounge in Dark Cacao with white contrast stitching is exclusive to the Cooper S 60 Years Edition, and the piping matches the exterior. 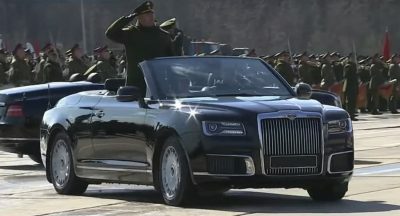 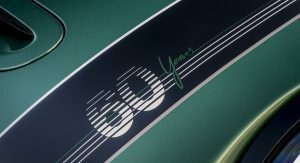 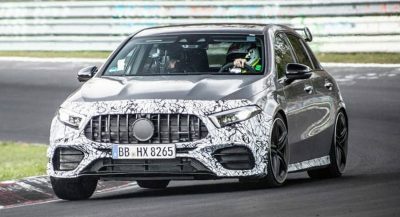 Finally, the “60 Years” emblem can be found on the steering wheel and front seats. 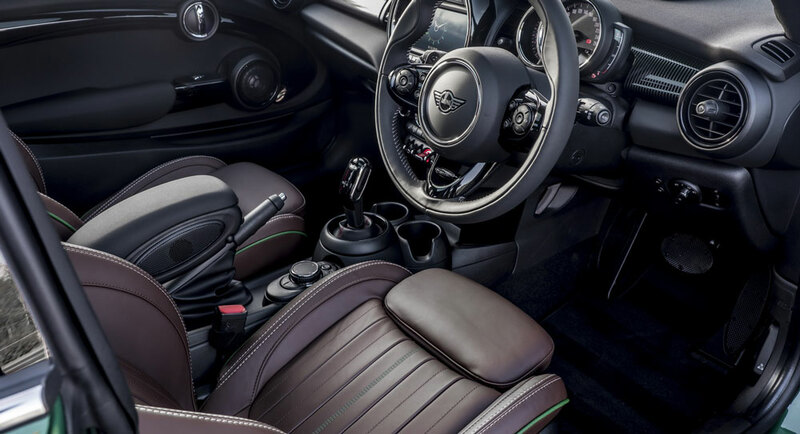 An 8.8-inch touchscreen display with sat-nav, Bluetooth and Apple CarPlay is standard, alongside a concierge service and a wireless charging pad for compatible devices. 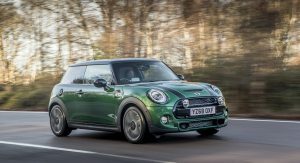 The Comfort Plus Pack is also included and adds a reversing camera, Park Distance Control and folding side mirrors, while there are also LED front and rear lights, dusk-sensing headlamps, rain-sensing wipers, ambient lighting and intelligent emergency call. 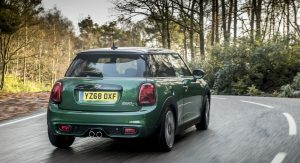 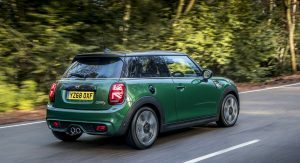 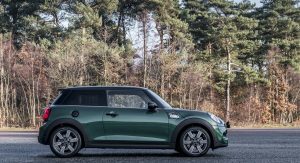 The turbocharged 2.0-liter four is carried over from the regular Cooper S. It still pushes out 192 PS (189 hp / 141 kW) and, in the UK, is paired exclusively to a seven-speed auto. 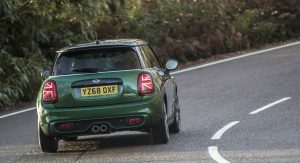 Nice and should have been a JCW car with more power. 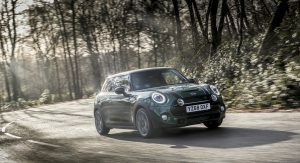 For its lofty price, Cooper S has long needed way more power and a lightweight AWD system.